Among the first acts of the 114th U.S. Congress was the adoption of a new rule that will undercut Social Security as a whole, and risks steep cuts in Social Security Disability Insurance benefits (DI) by late 2016. Related Article: Is Your Alma Mater Complicit in ASA’s Israel Boycott? Includes universities’ contact information so that you can make your views known. The American Studies Association’s boycott of Israeli academic institutions has been condemned by organizations, politicians and public figures from all across the political spectrum. The American Association of University Professors said in an official letter that it opposes academic boycotts, including the ASA boycott, as violations of academic freedom. Targeting Israeli institutions solely because they are in Israel — the only democratic country in the Middle East where scholarship and debate are encouraged and flourish — is based on a myopic and fundamentally distorted perspective of Israel and the conflict and is manifestly unjust. Comments from Ambassador Oren, Rep. Schneider, JStreet, Peter Beinart and Jeff Goldberg follow the jump. More needs to be said about fighting back. The United States has long imposed strict penalties on companies complying with the Arab boycott of Israel. Similar measures should be enacted denying state and Federal funding for any activities associated with the promoters of this racist anti-democratic measure. Unilaterally placing blame on one party, as the ASA boycott does, is an overly simplistic and unhelpful approach to an incredibly complicated and dynamic political situation. And it is one that is not befitting of an academic community. Children of Jewish Holocaust Survivors presented an evening devoted to exploring the historical roots of the Israeli right, from Vladimir Jabotinsky to Menachem Begin to Benjamin Netanyahu, and a discussion of its current relevance to what is happening in Israel today. Rick Richman, the editor of Jewish Current Issues, was one of the presenters. Steven M. Goldberg, the National Vice Chairman of the Zionist Organization of America (ZOA), spoke as well. Professor Louis Gordon, whose work has appeared in the Forward, the Jerusalem Post, the Jerusalem Report, and numerous other publications, shared additional insights. 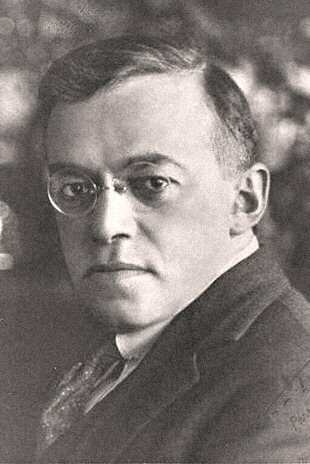 Vladimir Jabotinsky was a journalist, essayist, translator, author, novelist, orator, military leader, and head of the Revisionist Zionist movement, which attempted to return Zionism in the 1920s and 1930s to its Herzlian roots. Menachem Begin was one his principal followers, the head of Jabotinsky’s youth movement in Poland and later the leader of its military wing, the Irgun. Benjamin Netanyahu’s father was Jabotinsky’s personal secretary, and Prime Minister Netanyahu has frequently cited Jabotinsky as an influence on him in considering the current threats against Israel. 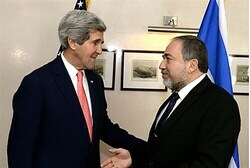 Understanding the current status of the right in Israel requires an understanding of the connections – and also the differences — between these three historic figures. It may also provide some insights into the approach of the current Israeli government as it faces a continuing existential threat. The evening concluded with an excerpt from the documentary film, Flames of Revolt: The Story of the IRGUN, which includes rare footage of those who participated in the events leading up to the re-creation of the modern State of Israel. It’s a wise old rule of the heart, too often forgotten: When you choose a spouse, remember that you’re not just marrying a mate – you’re also marrying into a family. There’s a corollary that’s worth remembering when you enter the voting booth in November: You’re not just electing a president. You’re electing an administration and the party that will staff it up…. You’ll be choosing a head of the Securities and Exchange Commission, which is supposed to police Wall Street unless it decides to close its eyes and let the gamblers run the table. You’re choosing a head of the U.S. Forest Service, which protects national forests from developers, unless it’s headed by developers, and of the National Oceanographic and Atmospheric Administration, whose scientists keep track of the terrifying trends in the earth’s climate while dodging the anti-science bullies of the Republican Congress. You’re choosing the head of the Federal Emergency Management Administration, which was led at a key point during the last Republican administration by one Michael ‘Brownie’ Brown, whose professional background was in show-horses, a pursuit that seems to have quite a following among Republican politicians. You’re choosing a pool of Supreme Court nominees. The next president will likely decide whether the court’s pro-life faction is enlarged to the point where it can overturn Roe v. Wade. Ironically, this is the same pro-life faction that would rather risk executing an innocent man than risk setting a murderer free. And you’ll probably be choosing a foreign policy team that yearns to resurrect the cowboy diplomacy of the George W. Bush administration, which did so much to discredit American leadership in Europe, the Middle East and elsewhere…. The farm team is even weirder. In Arkansas, the GOP-led legislature has a pair of members, Jon Hubbard and Loy Mauch, who are openly nostalgic for African-American slavery (you read that right), and a former member running for his old seat, Charles Fuqua, who favors enacting the biblical law of executing ‘rebellious’ children by stoning. This, then, is the crux of the choice this November: Whether to entrust our government to a party that believes in sensible governance or one that doesn’t. It would be better if we had two parties with two rational approaches to governing, rather than one that’s for it and one that’s against it. Competition is a good thing. But that’s not on offer. Click here to read Goldberg’s full piece.